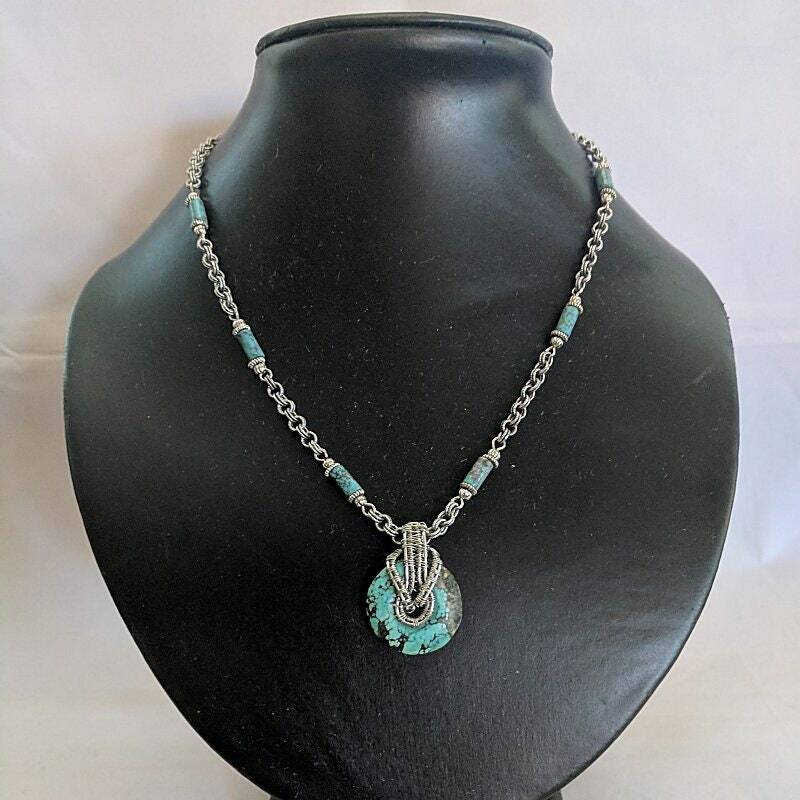 This necklace's pendant is made with a 22mm (7/8") turquoise donut. 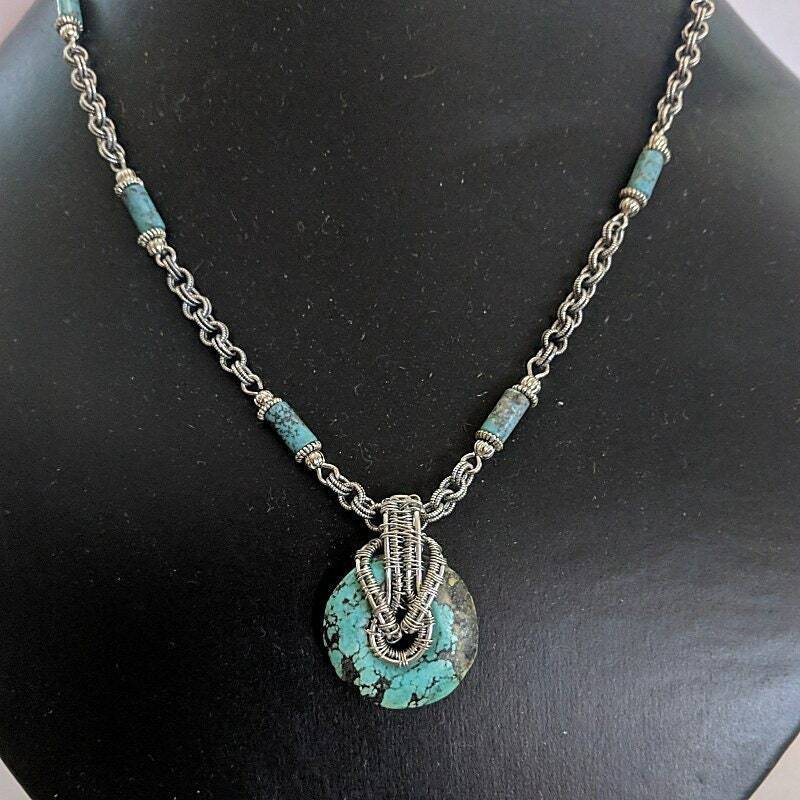 It is intricately wire wrapped with silver plated jewelry wire to form a woven donut bail which makes the pendant to measure 30mm (1 3/8") in overall height. 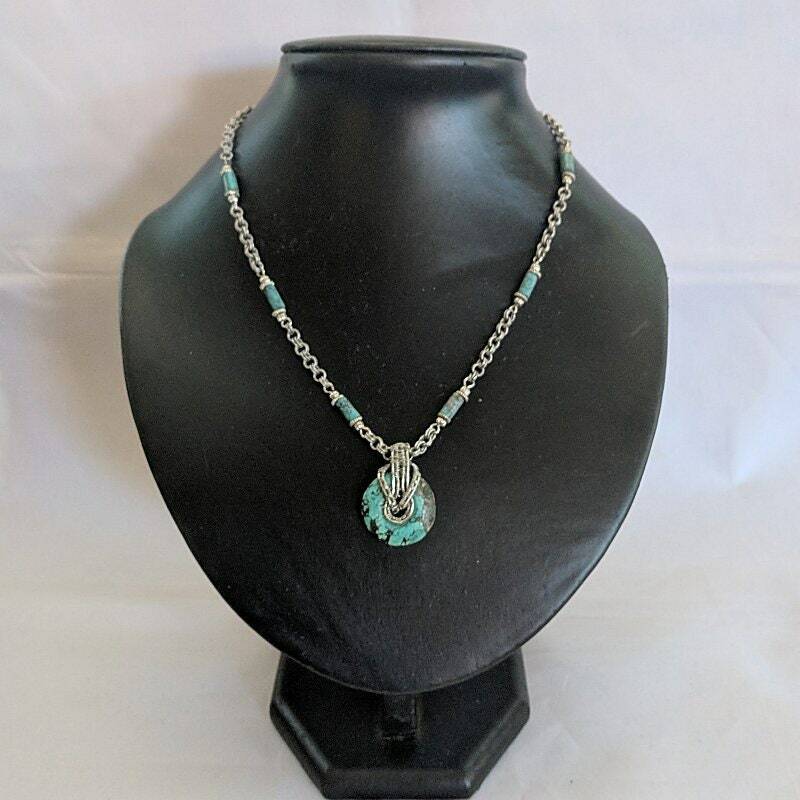 The pendant is attached to a chain necklace that has turquoise tube links for further embellishment. 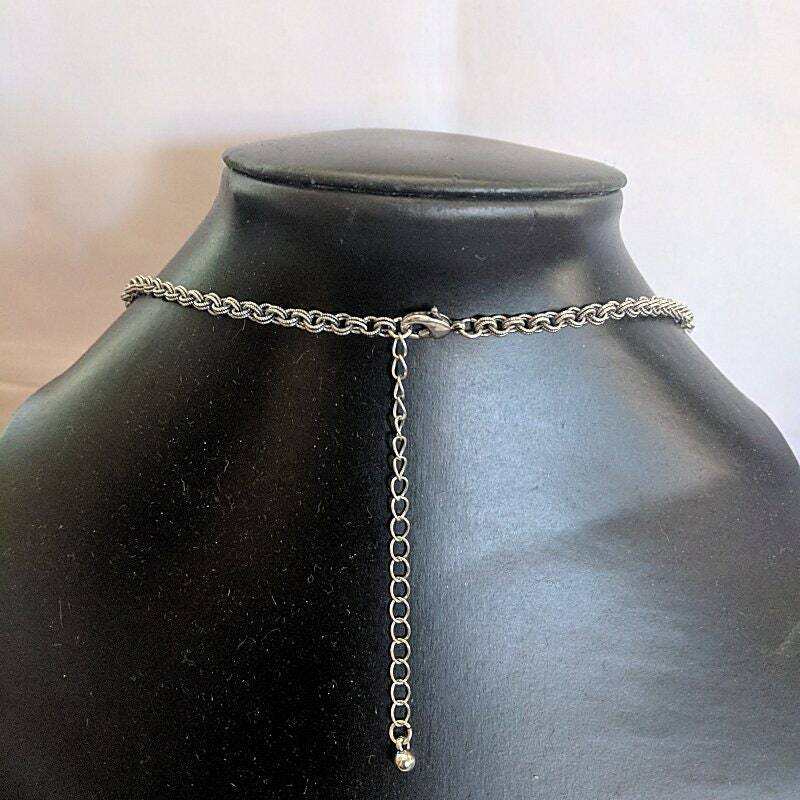 The 17" double-link chain has a lobster claw closure and an extender chain that will adjust the necklace to the maximum length of 20 inches. We ship via USPS Priority Mail Insured so that you will receive your order in 2-3 days once the package is posted, plus you can track it on-line. 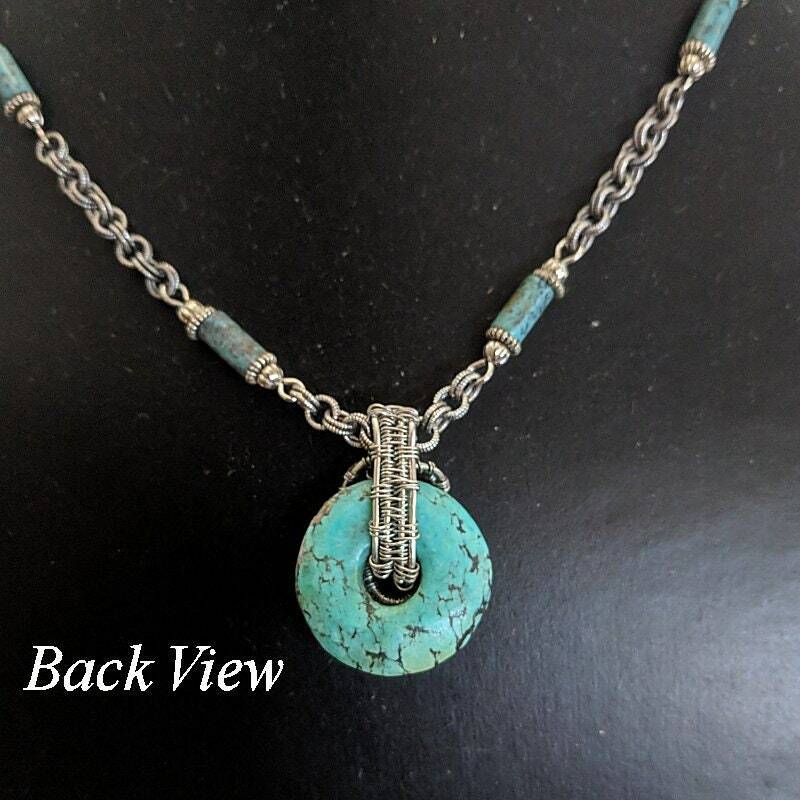 TURQUOISE is in tune with the 5th chakra and helps one except all experiences as life lessons. It enable one to speak their truth and follow their path. It is one of the birthstones for December. It was popular in ancient Egypt, China and Aztec cultures. It is still used by the Native American tribes and has always been considered a stone of life, beauty and good fortune. As the stone of communication, it encourages enthusiasm while attracting prosperity and success.